And to you, as well ! ! Cheers ! ! ! Happy Holidays, Juiseppi ! ! Thank you for the shout-out ! ! Cheers ! Merry Christmas and a Happy New Year ! Cheers ! Let’s ! ! Hope you can join us . Beautiful photo! Thanks for sharing your Christmas customs with us. By the way, how is the job going? Have a wonderful, joyous holiday, Steve ! ! Thank you sweetheart😘😘, you took have a joyous Christmas Ren…..
Merry Christmas and dress warmly! Good thing it doesn’t snow where I live, but it can get a bit chilly, 40F right now. Merry Christmas ! Have a good one in Maldives, aysabaw , or are you going home for the holidays ? Huh ? Here is where? Maldives or Philippines ? to you and your family – have a wonderful, peaceful and joyas Christmas. Have a great one, too ! ! Cheers ! Love your top!!! Happy holidays!! Oh, and to you as well. Cheers ! And a very happy Christmas to you, too. To you, as well. Cheers ! ! ! Merry Christmas! Pinoy Christmas is always so fun. Merry Christmas back at you, and wishes for a great 2017. Merry Christmas to you , as well…. hope you can post about your first Christmas in Hawaii. Merry Christmas, Elyse ! ! Merry Christmas and the happiest holidays. Nice photos! Thank you so much and a Merry Christmas to you, as well ! Thank you ! happy Christmas to you, too ! 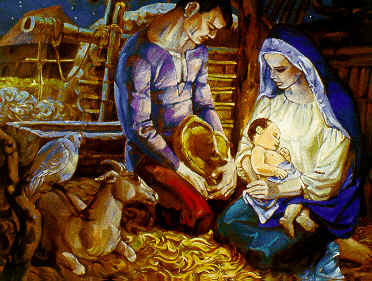 Maligayang Pasko Sa’yo Sis at sa iyong Pamilya! Merry Christmas and a Happy New Year gal !!!. Merry Christmas… you’re as beautiful as the words you share. What a wonderful message. Merry Christmas and have a happy New Year. Peace and joy to all of us ! Cheers ! Wow, thank you ! May you have a peaceful and prosperous 2017. Cheers ! They do midnight masses over here in Gibraltar too. I don’t attend though cos I am not religious… plus I love my warm bed.